The next two weeks will see the formal nominations of the two major party candidates in the contest to succeed Barack Obama as President of The United States. First, this week, Republicans are expected to nominate Donald J. Trump, who on Saturday morning introduced Indiana Governor Mike Pence as his vice presidential running mate. On Saturday, Trump promised “we’re going to have an incredible convention.” The theme of the convention is "Make America Great Again," which has been Trump's campaign slogan. All eyes will be on Cleveland Monday through Thursday as the Republicans convene, with New York delegates front and center at the convention given that the presumptive nominee calls the Empire State home. Americans are also bracing for protests and many are hoping that there is no violence outside or inside Quicken Loans Arena. The same goes for Philadelphia, where the following week, that of July 25, the Democrats are set to name Hillary Clinton their nominee for President. Clinton also calls New York home, and there are many New York angles to the upcoming Republican and Democratic national conventions. These include the delegations traveling to Cleveland and Philadelphia, which for the Democrats will include both Gov. Andrew Cuomo and Mayor Bill de Blasio, among many other high-profile New Yorkers. Aside from officially nominating their presidential and vice-presidential candidates, the conventions will also see formal adoption of the official party policy platforms. These decisions are being made by the thousands of delegates from across the country who attend each convention - an assortment of current and former elected officials, prominent party members, activists, businesspeople, and others - in part as dictated by the voting that occurred in each state. As the Republican convention kicks off, it appears that any last-ditch efforts from within the party to keep Trump from the nomination have been scuttled. The speakers list for the convention fit with Trump’s campaign as an anti-establishment outsider and is largely devoid of major party figures - there will be no appearance by prior presidential candidate Mitt Romney, former Presidents George H.W. Bush and George W. Bush, or a variety of Republican governors, senators, and others who are prominent in the party. Home-state Governor John Kasich, of Ohio, one of Trump’s rivals for the nomination, is not scheduled to be part of the proceedings. There will be a full slate of speakers, of course, including Trump’s four adult children, former New York City Mayor Rudy Giuliani, House Speaker Paul Ryan, Gov. Chris Christie, Senator Ted Cruz, Gov. Scott Walker, Senate Majority Leader Mitch McConnell, GOP Chair Reince Priebus, and others. Pence will be the headline speaker on Wednesday night, while Trump will give the convention's final words on Thursday evening. With some time still before the Democratic convention, the big news everyone is waiting for is Hillary Clinton’s vice presidential nominee. Many are calling Virginia Senator Tim Kaine the frontrunner, but nothing official has been announced. Unlike Trump’s convention, Clinton’s will feature a ‘who’s who’ of major party names - Democratic National Convention speakers will include President Barack Obama and First Lady Michelle Obama, Vice President Joe Biden, former President Bill Clinton, Senators Bernie Sanders and Elizabeth Warren, and others. Like Trump, Clinton will see her adult child, Chelsea, speak. As the conventions kick off there is much to watch for over the next two weeks; they also signal the start to the final three-and-a-half months of the campaign, leading to Election Day on November 8: the final stretch of speeches, platforms, polls, ads, debates, and more. When and Where is the RNC? Trump, who has been a media and reality TV star, told the Washington Post that he intends to put his own “showbiz” spin on the convention’s proceedings, though the official list of speakers is looking lighter on sports and entertainment legends than at one time thought. Though the exact process varies by state party rules, delegates to the RNC generally fall within three categories. Each state gets ten at-large delegates, plus delegates awarded based on that state’s Republican electoral success in the past (for instance, having a Republican Governor). Each state is allocated delegates based on congressional districts and each state’s Republican National Committeeman, Committeewoman, and State Chair all attend as delegates. Following this formula, New York will have a total of 95 delegates, including 27 from New York City, 54 from around the rest of the state, and 14 at-large. In a change of long-time state party rules, New York’s GOP delegates this year were selected by the State Republican Committee and several mini-committees for each of New York’s twenty-seven congressional districts, rather than having many determined by the presidential candidates on the ballot. The switch was intended to reward long-time party loyalists over the candidates’ friends and family, who were often favored in the past, according to Syracuse.com. Jessica Proud, spokesperson for the State Republican Party, considers the new delegate selection process a welcome shift from a “top-down” to “bottom-up” approach. Currently, 89 of New York’s delegates are pledged to Trump, while 6 remain bound to Kasich (who won Manhattan), though the Ohio governor officially suspended his campaign on May 4. “In a lot of ways, New York was the catalyst to help Trump seal in the nomination,” Proud recalls. Trump came out of New York’s April 19 primary with a large lead over Kasich and Cruz and the writing was all but on the wall. While Kasich did squeak out New York County (aka Manhattan), Trump dominated the rest of the state, winning 60.4 percent of the total vote. This success, plus Trump’s extensive New York networks, both personal and professional, means this year’s RNC will be dominated by New Yorkers. At-large delegates include Chair of the state GOP Ed Cox, state party Finance Chair Arcadio Casillas, Assembly Minority Leader Brian Kolb, and Wendy Long, who is challenging Senator Charles Schumer in November. On Friday, Cox released a statement praising Trump’s choice of Pence as a running mate, saying, in part, that "Mr. Trump has once again demonstrated the leadership skills required to make the changes necessary to put America on the right track." Former Mayor Rudy Giuliani has been publicly backing Trump and is set to speak at the convention. He is a delegate to the convention, pledged to Kasich. City Council Member Joseph Borelli, of Staten Island, is a Trump delegate. Borelli has been a frequent Trump surrogate on TV for many months. He travelled to Ohio with his successor in the state Assembly, Ron Castorina, and former Council Member Vincent Ignizio. Other prominent GOP delegates include Alfonse D’Amato, former U.S. Senator; Carl Paladino, honorary co-chair of Trump’s New York campaign and 2010 gubernatorial candidate; Tom Dadey, first vice chairman of the state GOP and co-chair of Trump’s New York campaign; and state Senate Majority Leader John Flanagan - several other state senators will be in attendance: Golden, DeFrancisco, O’Mara, Croci, though DeFrancisco is the only delegate among them (he is pledged to Kasich). Assembly members Kolb and DiPietro are delegates. Assembly Member Bill Nojay, an upstate Republican who in the past played a significant role in attempting to push Trump to run for New York Governor and helped lay the groundwork for Trump’s presidential bid, will not be attending. New York State Senators are hoping to maintain or expand their slim majority through the November elections and Trump’s candidacy may pose challenging for some candidates running in more moderate districts. Rubye Wright will also attend to vote for Trump - at 94 years of age, she is the oldest delegate heading to the convention, according to amNewYork. A Harlem native and lifelong Republican, Wright has attended every national convention except one since 1968. A complete listing of New York GOP delegates can be found on Ballotpedia. According to the New York Post, the State GOP has considered offering Donald Trump’s son, Donald Trump Jr., the ceremonial role of announcing New York’s 95 delegate votes. Trump Jr. will be attending the convention as one of Manhattan’s high-profile district delegates, and has been actively involved in his father’s campaign. Convention organizers may also position Trump Jr.’s announcement so that the New York delegation’s votes send Trump over the majority threshold to secure the nomination. Both details have yet to be confirmed. New York City’s only Republican member of its House of Representatives delegation, Daniel Donovan, will attend the convention. In an interview with the Staten Island Advance, Donovan said, "It's going to be exciting for our state.” Looking ahead to November, he said, "Traditionally, Republicans don't win New York, but we have a New Yorker as the Republican nominee for the first time in a very long time." With calls for a “Dump Trump” movement subsiding, the 112-member Convention Rules Committee finished its business without changing things to aid the naming of a different nominee. At least a few opposing Trump may continue fighting. "Whether you supported Donald Trump along the way or not: He. Is. Our. Nominee," said RNC Rules Committee Chairman Bruce Ash on Tuesday, according to CNN. Delegates at the convention must vote on the party’s official policy platform. Members of the Platform Committee finished the draft platform while Trump himself took a hands-off approach, according to the New York Times, which cites discrepancies between the conservative language of the Republican platform and Trump’s more moderate views on issues such as LGBT rights. According to the Times, moderate Republicans pushing for amendments to be made “secured enough signatures on Tuesday to demand a vote on their proposals from all 2,475 delegates,” so there may be some concessions made on the convention floor Monday before the final vote. For all aspects of the convention, New York will be front and center. “There'll be a big spotlight on us,” Proud noted, referring to the New York delegation as a whole. When and Where is the DNC? The Democratic National Convention will take place July 25-28 (Monday through Thursday) in Philadelphia, Pennsylvania. Though Brooklyn was seriously considered to host the convention amid a strong push from Mayor Bill de Blasio and others, Philadelphia won the honor. How are the Delegates Allocated? There are three types of delegates for the Democrats: pledged delegates, who petitioned in order to get on the ballot and become a delegate, and are legally bound to support a particular candidate; at-large delegates, chosen by the state Democratic Party, who pledge to vote for a particular candidate; and unpledged delegates, otherwise known as superdelegates, who are prominent party leaders not bound to any candidate. There are 345 representatives of the New York State Democratic Party heading to the convention, according to the party. There is no drama expected at the Democratic convention in terms of delegate allocation as Bernie Sanders has conceded and endorsed Hillary Clinton, so the types of delegates are unlikely to be a factor. Sanders and his supporters, plus the national Democratic tilt leftward, have had a significant influence on the party platform being adopted this year -- progressive influence throughout the primary season as well as recent, more explicit demands. Two issues are emblematic: calling for a $15 per hour minimum wage and standing against capital punishment in all circumstances. The party platform has stepped to the ideological left of Clinton, who has spoken in favor of a $12 federal minimum wage (with states going higher per their judgement) and capital punishment for certain crimes. Dr. David Birdsell, a professor and dean at Baruch College, does not believe that Sanders’ endorsement of Clinton is enough to dissipate all of the tension within the Democratic Party. Birdsell also believes that the concessions that the Democratic Party has made will be the only ones for a while. Basil Smikle, executive director of the New York State Democratic Committee, is excited about the amendments to the party’s platform. Smikle sees them as an expansion of New York values to the rest of the nation. “I think New York has been in this conversation and led it for a long time,” he said. “I think the state and the party has had a tremendous impact on the platform itself, and going to the convention with the leadership of the Governor is certainly carrying the work that Hillary Clinton has done for New York and the Senate, and what she's been able to accomplish and discuss on the campaign trail,” Smikle continued. “Those are New York values, and we are thankful that they've been able to influence other states, other delegates, and certainly the platform itself." The Democrats released only the headline speakers as of Sunday, July 17, which includes the top-level names mentioned earlier: both Obamas, Bill and Chelsea Clinton, Joe Biden, and Bernie Sanders. It is unclear whether Gov. Cuomo or Mayor de Blasio will have a speaking role. Smikle, a Cuomo appointee, confirmed that Cuomo has not yet been selected to speak at the convention. “We haven't gotten a schedule of speakers from the DNC yet, so that may still be discussed by the folks at the DNC at this point...I would love for [Cuomo] to have a speaking role. I hope he does." “I’m sure I’ll have some role, but I’m also sure it’s not about me,” Cuomo said in late June, according to New York State of Politics. Cuomo has been selected to chair New York state’s delegation at the DNC - a choice that caused Sanders supporters to protest. Delegates backing Sanders have refused to recognize Cuomo’s authority as the chair, and have said they will “file a legal challenge to the nomination of Gov. Andrew Cuomo as the chair of New York’s delegation.” It’s unclear if this controversy has subsided in the wake of Sanders’ endorsement of Clinton and the approach of the convention itself. Other notable New York Democratic superdelegates include former President Clinton, Senators Schumer and Kirsten Gillibrand, and Mayor de Blasio. De Blasio said on Wednesday that nothing around his speaking role had been decided. The same was true for City Council Speaker Melissa Mark-Viverito, who has been a frequent Clinton surrogate and campaigner this election season and will be part of the delegation to Philadelphia. Other members of the New York Democratic delegation include Attorney General Eric Schneiderman, Lieutenant Governor Kathy Hochul, State Comptroller Thomas DiNapoli, much of the state’s Democratic House delegation; City Council Members Jumaane Williams, Rafael Espinal, and Richie Torres, Public Advocate Letitia James, Queens Borough President Melinda Katz, and Manhattan Borough President Gale Brewer. According to Smikle, this year’s delegation “brings a tremendous sense of pride for us as New Yorkers.” He cited work New York leaders have done to move progressive policy and their impact on national politics. “I think what New York broadly and the delegation specifically brings is that a lot of what's in the platform has been discussed and implemented in New York for quite some time, so I do think members of our delegation have had an incredible impact,” he said. A complete list of the 345 New York DNC delegation is available here, courtesy of the State Democratic Committee. This week and next will be dominated by the race for President. The Republican National Convention takes place this week - Monday through Thursday - in Cleveland, followed by the Democratic National convention next week - June 25-28 - in Philadelphia. Read our comprehensive preview of the two conventions, with a distinct focus on the many New York angles, including the fact that the presumptive presidential nominees of the two major parties both call New York home. Before he attends the Democratic convention, Mayor Bill de Blasio is on a family vacation this week in Italy. He returns to New York on Sunday, July 24. All that being said, there are political events happening in New York City this week - see our day-by-day rundown below. Monday at 10 a.m. in the Bronx, City Council Member Vanessa Gibson will announce capital allocations for NYCHA developments in District 16 for the new fiscal year that began July 1. The allocation includes funding for security cameras, playground renovation, and programmatic funding for other improvements. According to City & State NY, at 10 a.m. “The New York City Taxi and Limousine Commission hold a public meeting” in Manhattan. 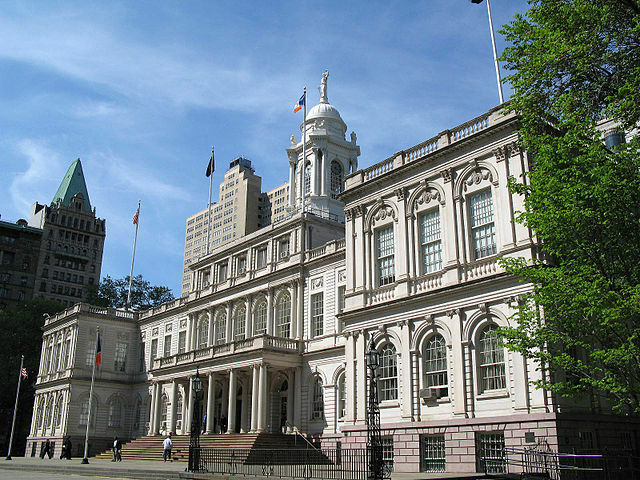 Also at 11 a.m. Monday on the steps of City Hall, Brooklyn Borough President Eric Adams, Council member Andy Kings and student track members from around the city will hold a press conference to honor Brooklyn native Justin Gatlin, who is set to compete in his third Olympic Games on the U.S. track team. Three “up-and-coming” student athletes from the city will be honored. At 5 p.m. Monday, City Council Speaker Melissa Mark-Viverito will host a “Melissa Meet Up” at La Isla Garden in the Bronx. The Speaker’s monthly meet up is a chance for New Yorkers to ask questions and present concerns to Mark-Viverito one-on-one. According to City & State NY, at 6:30 p.m. “Assemblywoman Rodneyse Bichotte speaks at Straight Talk Forum on Race, Community, and Law Enforcement, Mount Zion Church of God 7th Day,” in Brooklyn. The Republican National Convention kicks off on Monday in Cleveland. Read all about it. At 8 a.m. Tuesday, City and State will host “On Diversity,” a forum bringing together leading professionals to discuss “women in government, creating an inclusive company culture, and MWBE opportunities in contracting.” The forum will feature a one-on-one interview with Congressional Rep. Hakeem Jeffries as well as panelists Letitia James, Public Advocate, Melissa Mark-Viverito, City Council Speaker, and Carra Wallace, Chief Diversity Officer at the New York City Comptroller’s Office. 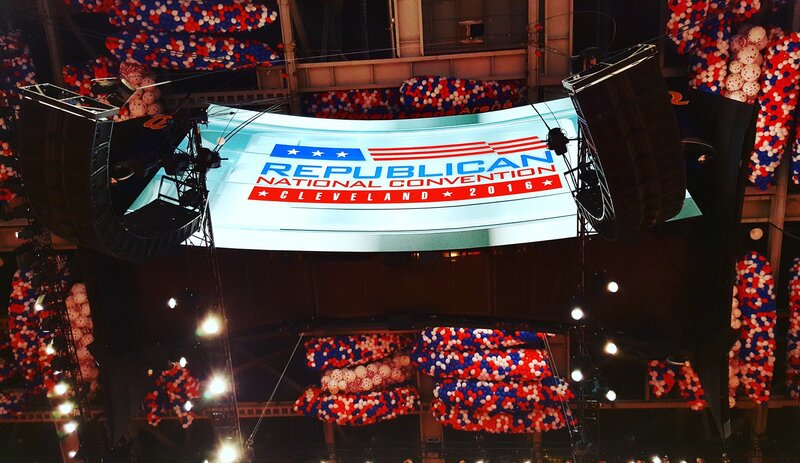 The Republican National Convention continues Tuesday in Cleveland. At 8:30 a.m. Wednesday, the Association for a Better New York will hold a breakfast with John Miller, Deputy Commissioner of Intelligence & Counter-terrorism of the NYPD. Miller will discuss current trends in terrorism and the NYPD’s assessment of and response to New York City’s overall security. Also Wednesday at 8:30 a.m., “Crain’s Business of Garbage,” a program focused on the multibillion-dollar commercial and residential waste disposal industry, hosted by Crain’s New York Business at John Jay College. Kathryn Garcia, Commissioner of the NYC Department of Sanitation, will be among the panelists who will speak about the practical and political challenges encountered when dealing with the city’s waste collection and disposal. At 6 p.m. Wednesday at the Duggal Greenhouse, the Brooklyn Chamber of Commerce and its Real Estate & Development Committee will present the 2016 Building Brooklyn Awards, “an annual event that celebrates recently completed construction and renovation projects that enrich Brooklyn’s neighborhoods and economy.” New York Economic Development Corporation (NYCEDC) President Maria Torres-Springer and Toby Moskovits and Michael Lichtenstein of Heritage Equity Partners will be honored at the event. The Republican National Convention continues Wednesday in Cleveland. On Thursday at 6 p.m. in East Harlem, Manhattan Borough President Gale Brewer will host the second of two community conversations centered around “how systemic racism impacts our neighborhoods and is experienced in our communities.” Brewer is expected to schedule more of these conversations around Manhattan in the coming months. The Republican National Convention is scheduled to conclude Thursday night in Cleveland with the nomination acceptance speech of Donald Trump. Nothing on the calendar as of now. Prepare for the Democratic National Convention with our preview here.